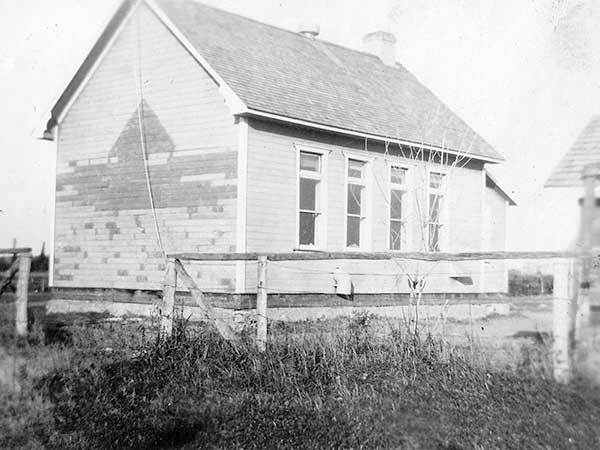 The Sandhill School District was established in March 1906 and a one-room schoolhouse operated at NW3-14-7E in the Rural Municipality of Brokenhead. In 1966, the district was dissolved and its area became part of the Garson-Tyndall Consolidated School District No. 2450 and later the Agassiz School Division. The only vestige of the school remaining at the site is its shelterbelt of trees, although the flagpole was present there in the early 1970s. Among the teachers of Sandhill School was John Duchominsky. GR8461, A0233, C131-2, page 106. “Elma news,” Steinbach Carillon, 9 August 1972, page 23.